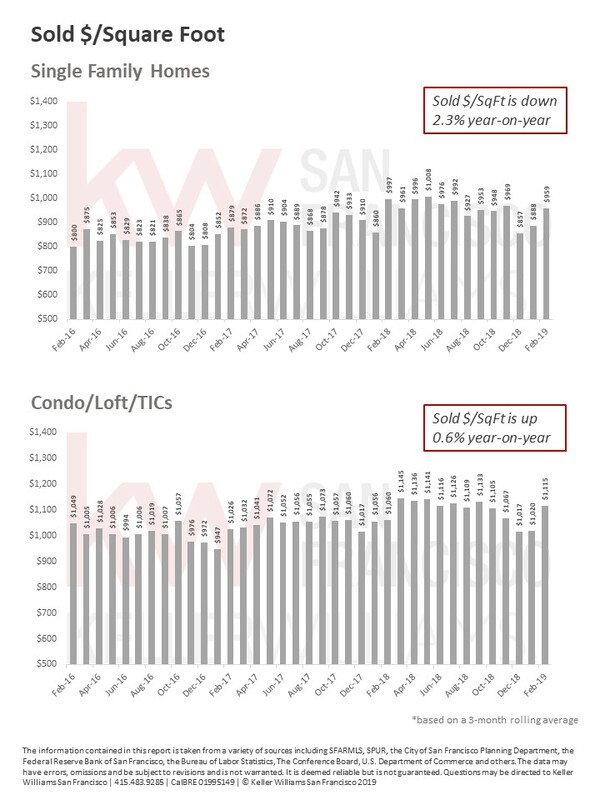 Further signs of a cooling market are showing up in the San Francisco housing market data. February continued the trend downwards in median sales price for single family homes, dropping 2.4% year-on-year. 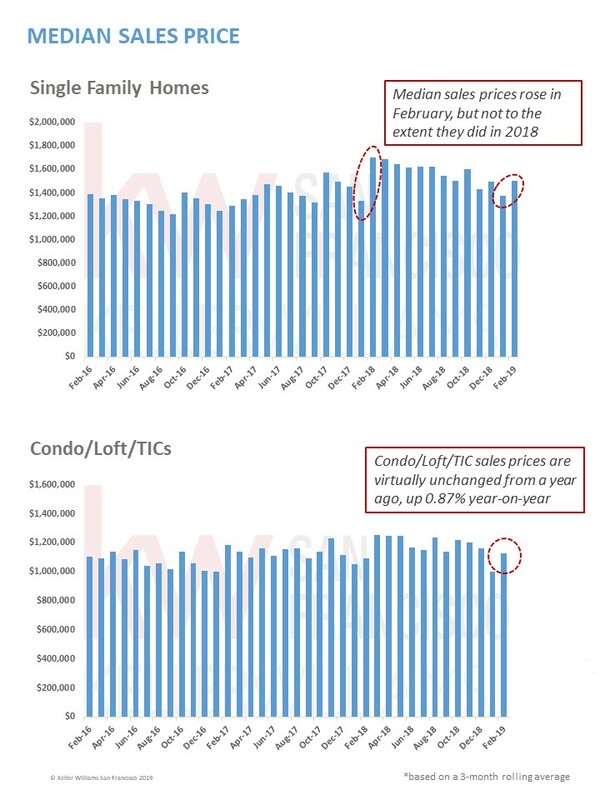 Condos eked out a 0.87% increase. 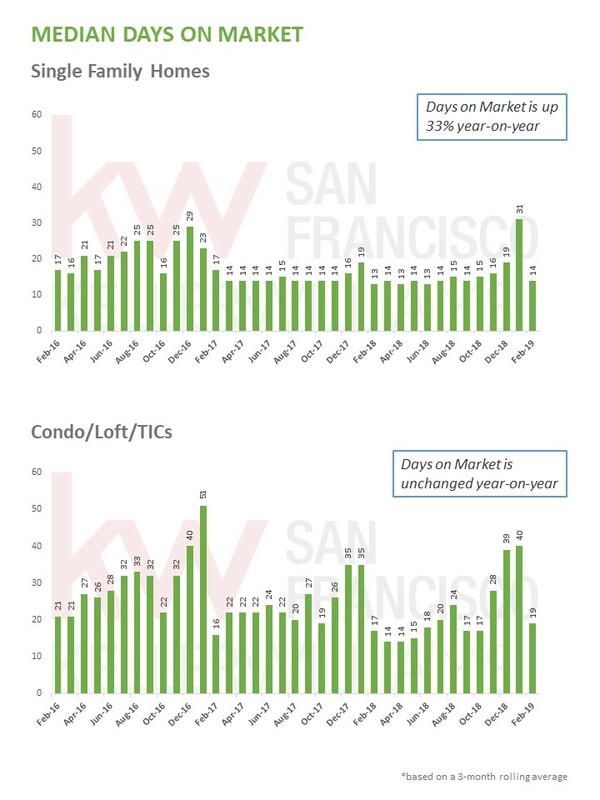 Another indicator is climbing Days on Market for single family homes, up 8.5%. 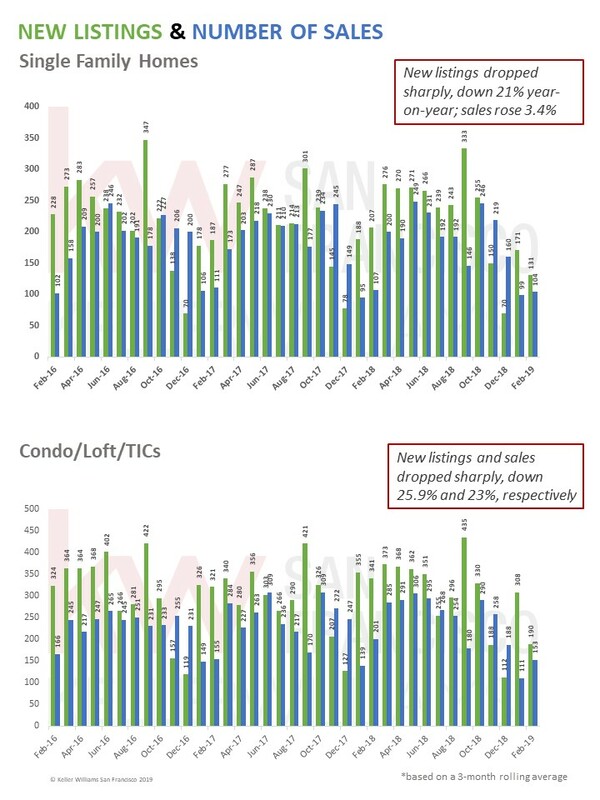 Condos are a bit more resilient right now, with theirs unchanged.Two other key indicators of buyer appetite for aggressive offers also declined. 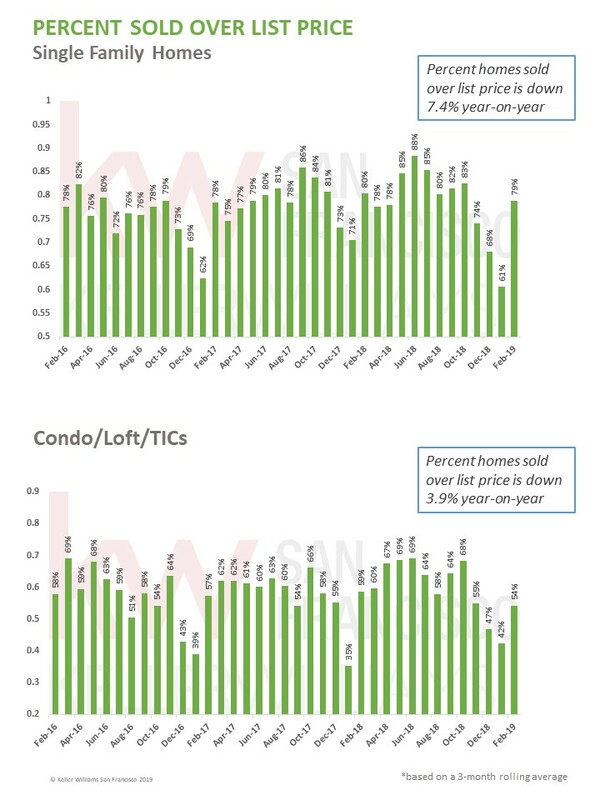 First, the percentage of single family homes and condos that sold above list price both fell, by 7.4% and 3.9%, respectively. 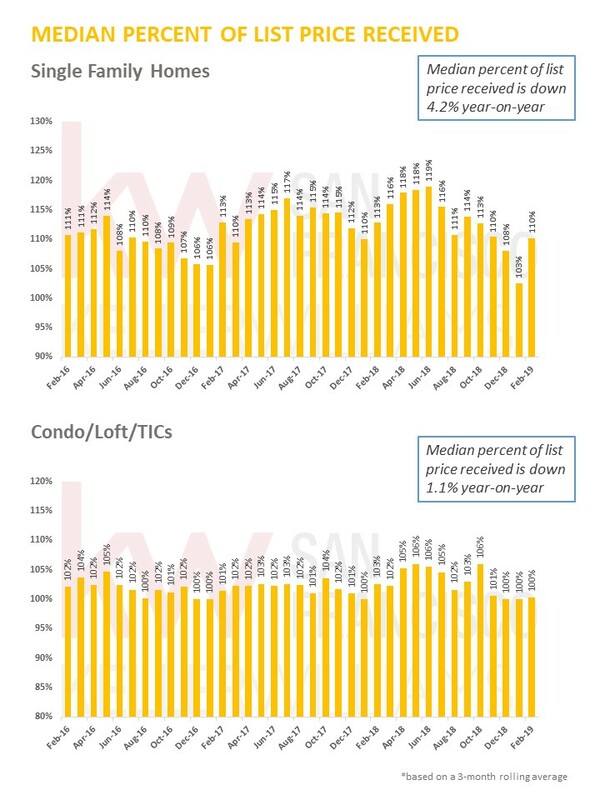 Second, the median percentage of list price received also fell for both, by 4.2% and 1.1%, respectively. And, more listings are showing up advertising “transparent pricing”, with agents not counting on buyers bidding up below-market list prices. 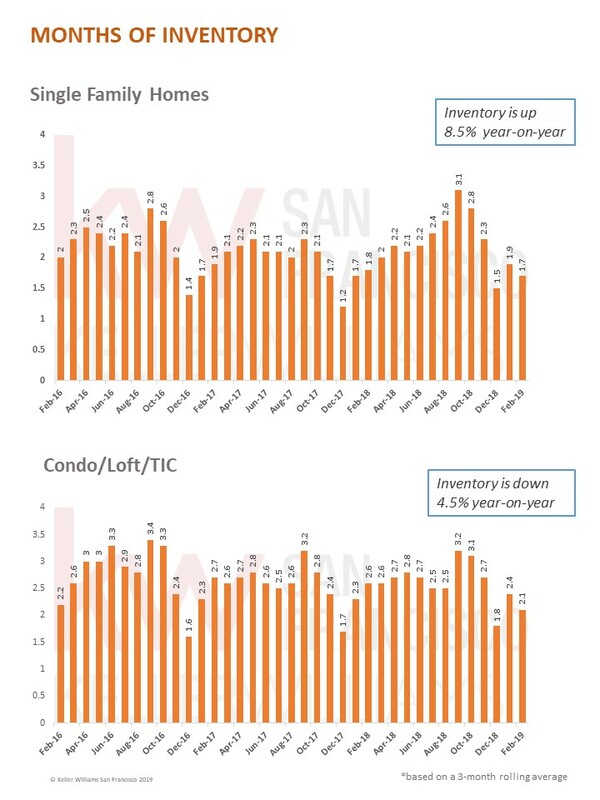 However, because inventory remains extremely low, it is still a sellers market. 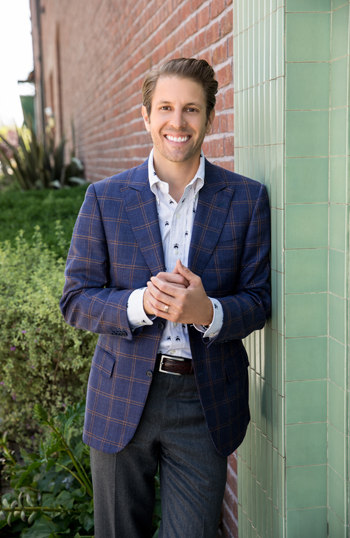 As more buyers enter the Spring buying season, expect continued competition for entry-level homes, but with fewer multiple offers and less exuberant overbid levels.